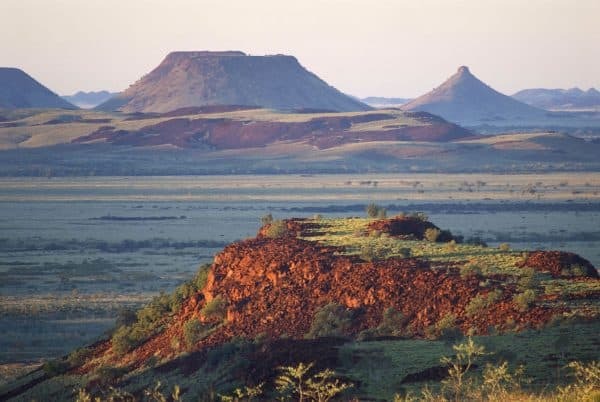 The Pilbara region in Western Australia has some of the world’s most ancient natural landscapes, dating back two billion years and stretching over 400,000 square km. The Pilbara region is a wonder to see. 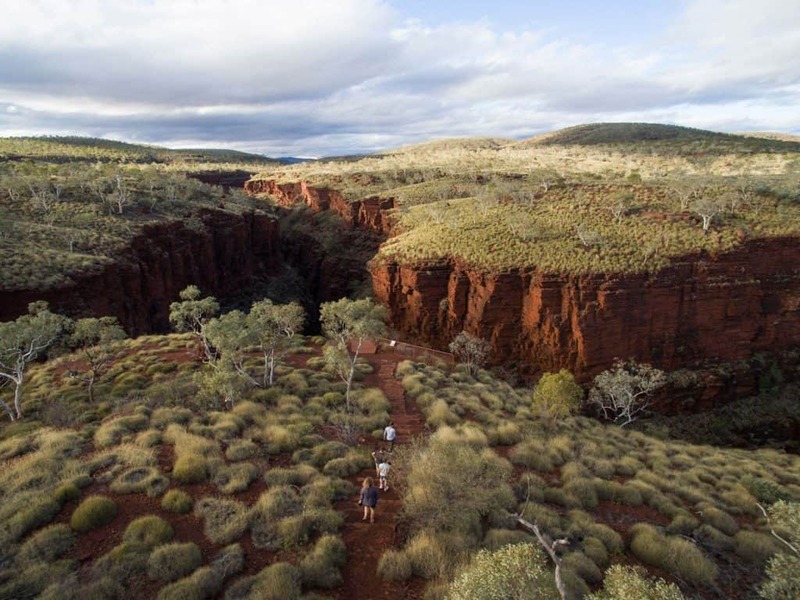 It is a large, dry, thinly-populated region in the north of Western Australia known for its vast mineral deposits, including iron ore, petroleum and natural gas, which contribute significantly to the state’s economy. Other than mining, pastoral activities, fishing and tourism are the main industries in The Pilbara. Karijini National Park is all about adventure. It’s about exploring ancient rocky tunnels and plunging gorges, paddling through crystal-clear waterways and swimming under stunning waterfalls. 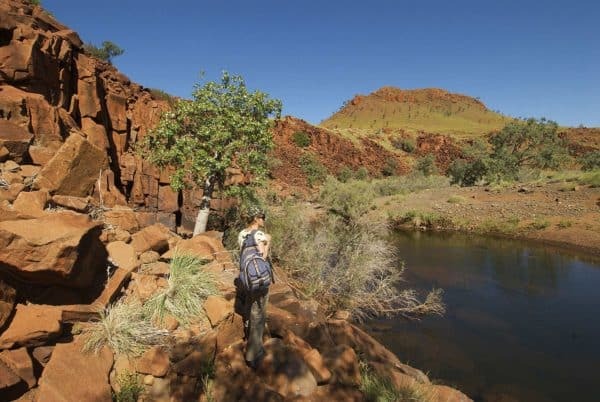 Millstream-Chichester National Park is a semi-arid National Park set within the Pilbara region of Western Australia. You can discover more about the Millstream Chichester National Park and the local Yinjinarndi Aboriginal people at the Millstream Homestead. 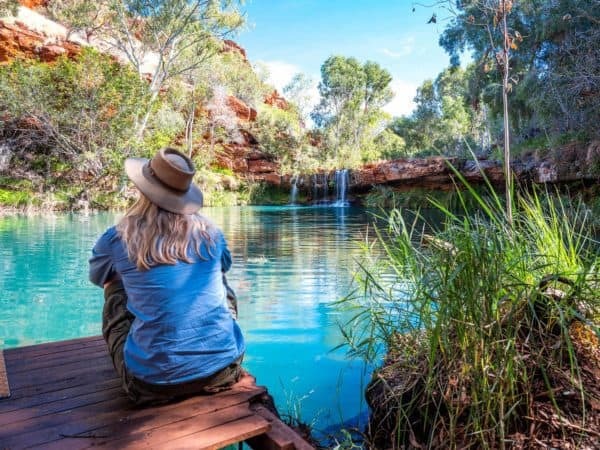 The Millstream Chichester National Park offers fantastic bush walking as well as a number of scenic drives around the park. These include the Chichester Range Camel Track, Cliff Lookout Drive, and the Murlunmunyjurna Trail. 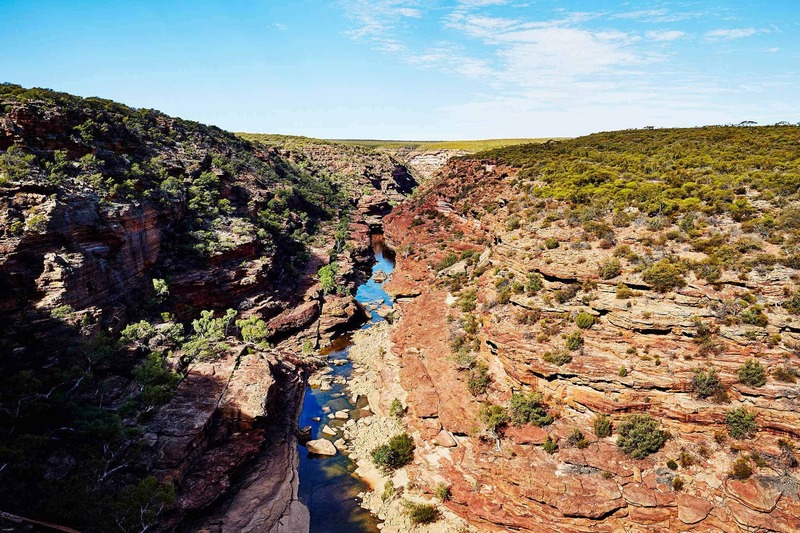 The Kalbarri National Park is home to a phenomenon of geography and geology known as the Z Bend — aptly named for the tight bends the Murchison River has carved into the Tumblagooda Sandstone gorge. The park also features a walking track, and “Nature’s Window”, a rock formation overlooking hundreds of kilometres of Murchison River. The Rainbow Jungle (The Australian Parrot Breeding Centre), located a few kilometres south of the town centre, is home to hundreds of exotic species of birds in their native habitat, plus a walk-in cage allowing humans to interact with the birds. The area is also famed for the diversity and extent of wildflowers during winter months. Twenty-one plant species are found only in the coastal cliff tops and gorge country predominantly in the National Park. One of the best known local plants is the Kalbarri catspaw, a small yellow or red plant that is usually seen on recently burnt country from August to September. Several orchids can only be seen in and near the park, including the Kalbarri spider orchid and the Murchison hammer orchid. The small-petalled Beyeria or short-petalled Beyeria, once thought to be extinct, was re-discovered in the park in 1994. The population in the park is one of only three known populations. Exmouth was established in 1967 to support the nearby United States Naval Communication Station, Harold E. Holt. Beginning in the late 1970s, the town began hosting US Air Force personnel assigned to Learmonth Solar Observatory, a defence science facility jointly operated with Australia’s Ionospheric Prediction Service. Ningaloo Reef is located to the west of Exmouth Gulf and is famous for its whale sharks that feed there during March to June. The reef is also rich in coral and other marine life and, during the winter months, is part of the migratory routes for dolphins, dugongs, manta rays and humpback whales. The beaches of the reef are an important breeding ground of the loggerhead, green and hawksbill turtles. They also depend on the reef for nesting and food. The Ningaloo supports an abundance of fish (500 species), corals (300 species), molluscs (600 species) and many other marine invertebrates. The reef is less than half a kilometre offshore in some areas, such as Coral Bay. In 2006, researchers from the Australian Institute of Marine Science discovered in the marine park’s deeper waters, gardens of sponges that are thought to be completely new to science. Sal Sallis, one of Australia’s great Eco Lodges is located at Ningaloo Reef and run by Wild Bush Luxury. The memories I now carry from this air tour far exceed my dreams. To see the colours of the desert, the mountains that rise up beneath the aircraft, the rivers and coastal areas and then to land on a gravel strip far out there. The friendship and company of our group, cannot be described.